Is your audiology website dynamic or static? 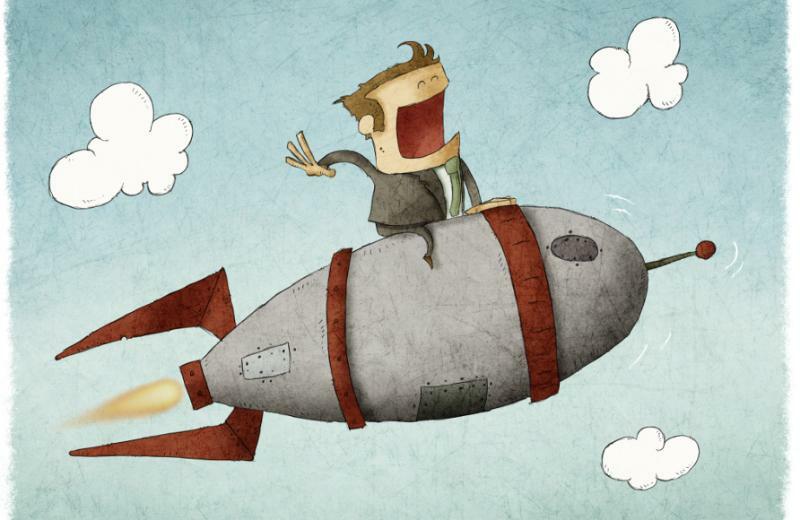 Making Your Audiology Website A Rocket Powered Lead Converting Machine! A static brochure or a dynamic website? Every Practice needs to spend time, money and creative thought to design and implement a brochure. It is an integral part of their Practice branding exercise and can be used effectively to support the brand. However once you hand out that brochure and the prospect walks away, that’s the end of the engagement. You have to hope that the content you put in print is engaging enough to spur action. Because a brochure delivers no other pro-active conversion opportunities. That isn’t to say that a brochure isn’t valuable to you and your brand. It will always deliver value, just within confined parameters. A brochure has its limits in delivering opportunities for long-term engagement. A website has the ability to be a dynamic channel for your brand, it also has the ability to be a major part of your prospect lead funnel. It should not be a static brochure representing your brand. Why on earth would you want it to be? Yet too many audiology Practices allow their sites to be nothing more than that. This sites fail to attract prospects and limit the revenue produced from what should be an active marketing channel. Many websites simply have blocks of product summaries, employee bios, and company history. While we believe that this information is absolutely important to share, it isn't what is going to drive your prospects to convert. It is not enough to engage those prospects and entice them into a deeper relationship with your business. For instance, we think that a strong about us page is imperative, it should detail the staff and your history, but it should be focused on your ideals and ethos. What drives you and your brand to deliver the best solutions for them. So, we believe that you should feature those sections, but don't let them be all. We see many Practices limit themselves to a few web pages with bog standard generic information, WHY? This isn't a brochure, your Practice website is not restricted to a set number of pages, you don’t have to reprint to make edits or add sections or pages. Your content can be updated in real time, your web channel is dynamic, you should have the power to add a page, add a section, edit your text. This allows you to build out your brand online with complete ease, it also allows you to engage your audience with valuable content. When you couple this with analytics it allows you to deeply understand what works and what doesn't, in real time. The power of the web is limitless, you have the opportunity to offer media rich content that can be optimised for prospects at every stage of the sales funnel. Content that will engage and drive prospect views to leads. More importantly it can be done with ease at no cost or low cost. Why would you not do it? Create a blog, use it to attract prospects. Update it with informative content at the least weekly, daily if you can. Use the blog to feature product updates, sales, and discounts when relevant. Make sure there is a prominent news feed section on your home page to highlight the latest blog posts. You have in essence unlimited space to display your expertise and educate your prospects with relevant content, content they want and more importantly content they will appreciate. Well what the customer wants to read of course! Think about what your prospect customer wants to know, there is absolutely nothing preventing you from showing it to them. You have in essence unlimited space to display your expertise and educate your prospects with content that is relevant, content they want and more importantly content they will appreciate. The options for engaging content are unlimited, don't just think articles and words,on a website you have a host of opportunities to use graphic and design tools to deliver rich media experiences. You can produce and deliver short videos pertaining to product or service. Use striking visual calls to action. With modern web design tools there is no reason for a website to look like it was written on a word processor. Make it stimulating and engaging. Design forms and calls to action to capture the data of visitors to your site. This allows you to turn prospects to leads that you can communicate with. Design your forms to ask for the least amount of information you need, don't ask for too much and scare them away. Ask for their name and email, give them an option to add their phone number and a message. You don't need any more. All you need is a name and a contact detail to start the relationship. Consider this as a relationship, you have undertaken many conversions already to get them to submit their details. You look like someone they would like to do business with, they trust you enough to submit some contact details. Don't blow it, treat it as the first step on the ladder, the start of a relationship that will hopefully culminate in an appointment and a sale. What effect is your website having? I write a post a long time ago talking about the effect that your website was having on your brand. The post was in relation to how fast someone forms an impression of a business from their website. It can be read here The Effect Of Your Website. It revealed a frightening piece of information about just how fast someone can form an impression of you and your brand. It takes two tenths of a second to form an idea and then a further 2.6 seconds for that idea to be reinforced. You have 2.6 seconds to win over a prospect! A little over two and a half seconds helps a prospect to form an opinion of you and your business. The problem is that once that opinion is formed, they will notice every thing that reinforces it. They will also need a huge amount of evidence to change that opinion. I have talked about the comparison game before, it is one that everyone likes to play. Your prospect’s opinions about you and your Practice are unformed. They are then formed by their contact with you, decisions and ideas about you are formed through the comparison of their contact with your competitor. This comparison allows them to begin to form an opinion, that opinion can be wrong, but they only go on the data that they have gathered. So it is important to you that the opinions they form are good, don’t be let down by your website. Below is an interesting infographic I came across on Kiss Metrics .com on what makes people leave a website.